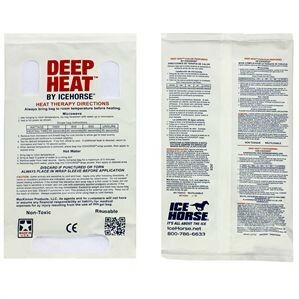 Deep Heat™ Gel Packs by Ice Horse® fit all Ice Horse wraps to provide soothing therapeutic heat to stiff or sore areas. Deep Heat packs help promote muscle relaxation and increase blood flow through tissue. The packs attach to the wraps with VELCRO® brand fasteners.